Engaging and fun every day: School-age kids age 6-12 want to feel all grown up, yet they still crave comfort and security. So instead of just daycare, our child care program is designed to support their increasing interest in sports, art, music and more, both before and after school. Growth and Development: School-age children are given a quiet environment for homework and projects, with supervised access to computers and tutoring/assistance as needed. Also available to the children are activities that they can participate in such as crafts, games, physical activities, snacks and reading to continue their learning development before and after school as well as during the summer months. 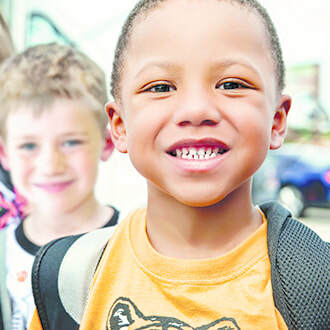 School Transportation: To make it easy for your family's schedule, Small World centers provide transportation to and from neighborhood schools. Our school-age program also aligns with school calendars to provide fun and learning during holidays, teacher in-service days, and other school breaks.